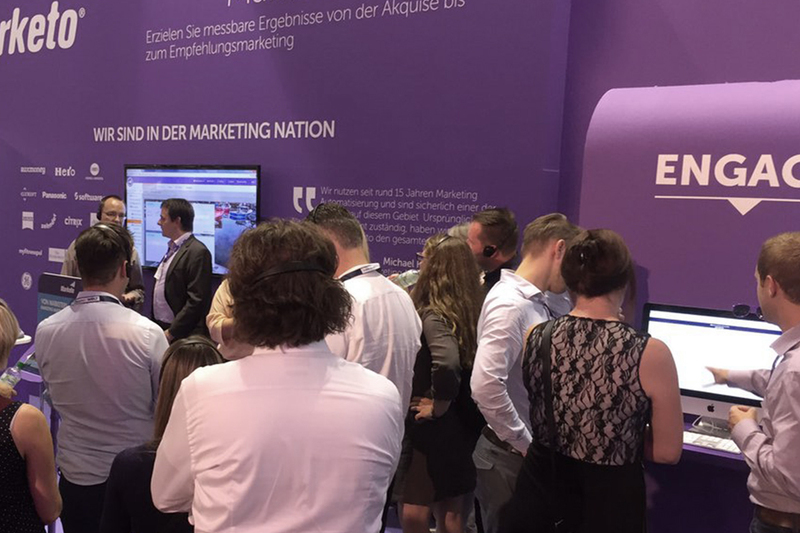 To engage with visitors to the Marketo stand at the DMExco event in Germany and in London, and to capture user data for the marketing team via an interactive experience. 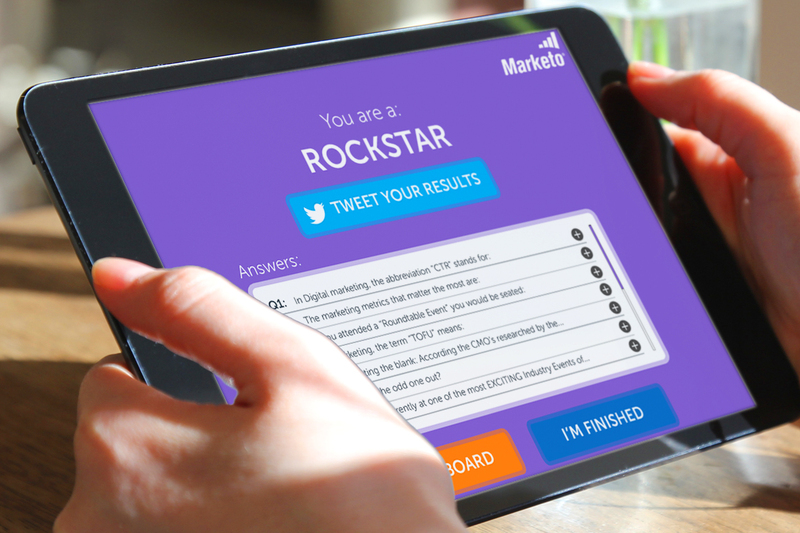 Our aim was to engage users by giving them the opportunity to play our digital quiz called 'Are You A Marketing Rockstar?'. Users simply clicked start on the iPad and answered 8 multiple choice question and were scored on correct answers and how quickly they completed each question. 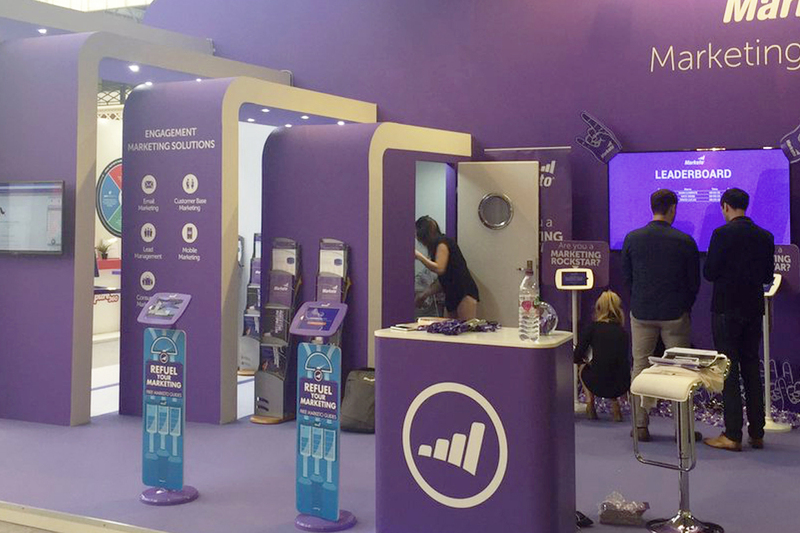 Results were streamed to a live leaderboard on the big screen which was displayed on the event stand, and prizes were given away to users if they they reached a 'Rockstar' points total, earning them a place on the leaderboard! Key data was captured at the end of the quiz for the marketing team to see during the event, and then use after the event.